The Supertouch Topaz Gloves 6103/6104 features a polycotton shell teamed with a textured latex palm. 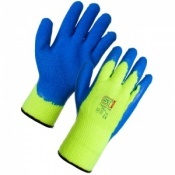 This makes the Supertouch Topaz Gloves 6103/6104 comfortable, fitted gloves which are tough and durable. 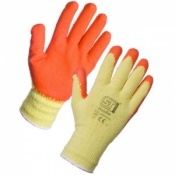 If you need a versatile handling glove, accept no alternative to the Supertouch Topaz Gloves 6103/6104. The Supertouch Topaz Gloves are also available for purchase in case quantity. 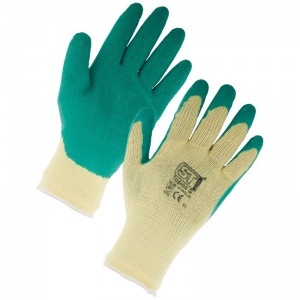 Gloves used for domestic purposes (gardening, building) - they do the job! Do you have bigger size as very dissapointed in how small they came! Great service but I require larger size! We're glad that you are enjoying the glove. Unfortunately, you have purchased these gloves in the largest available size. I have had a look myself and can tell that they are a little smaller than some alternative gloves' sizes. 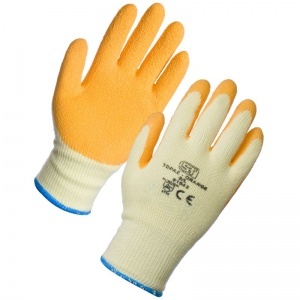 If you would like a recommendation for a similar type of glove with a larger size, please do not hesitate to get back into contact with us at 020 7501 1104. Bought to protect children's hands when assisting with litter picking and gardening with the Friends of the Park group, very good.